Masked contractors remove a portacabin from East Belfast FC's Tommy Patton Memorial Park. Picture Mal McCann. Masked contractors have removed a prefab hut from the ground of an east Belfast sports club following a year long row with Belfast city council over planning permission for the structure. Contractors moved in yesterday morning to remove the structure after a meeting of the council on Monday night ratified an earlier decision to refuse retrospective planning permission. The hut had been placed at Tommy Patton Park, the home ground of East Belfast Football Club. Also known as Inverary Playing Fields, the land is owned and managed by Belfast City Council. The club which has both adult and youth teams had said they were using the hut as a 'wellbeing centre' for their players as well as meeting place for parents of the players. However, councillors had raised objections saying it set a precedent for structures to be placed without permission on council land. Leading loyalist Stephen Matthews is the manager of the club and loyalist blogger Jamie Bryson previously submitted a letter on behalf of the club making a case for the retention of the hut. The club said yesterday they had requested an extension until December 31, in order to find a local solution "that would meet the needs of all interested parties". It added: "This incident is without precedent ... as well as a desire to target a number of individuals within our club for political purposes. "We would also point out that the portacabin belongs to East Belfast Football Club and as such we will be assessing our legal options in relation to potential theft and damage caused to our property. 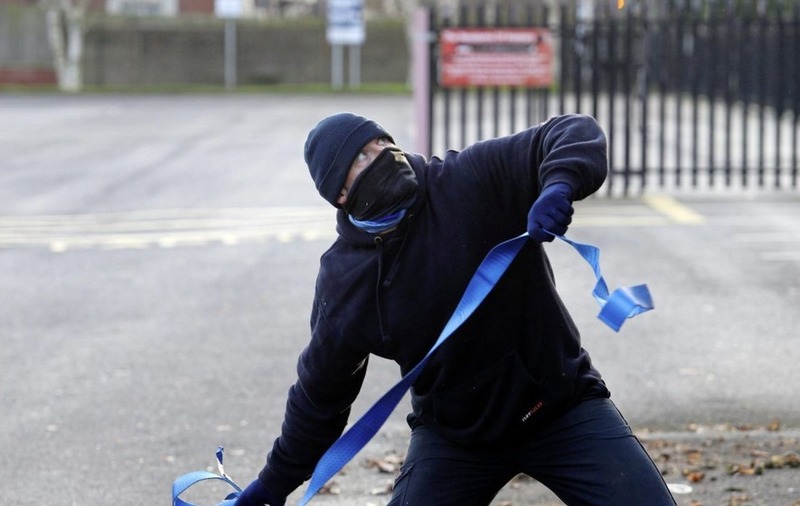 A Belfast City Council spokesperson said: "At Monday’s monthly meeting of Belfast City Council, Members ratified a decision taken by the Council’s People and Communities Committee to remove a temporary structure at Tommy Patton Memorial Park in east Belfast. "The structure has been on Council land without permission since early 2017. "Members of the Council's People and Communities Committee agreed that the structure should be removed after East Belfast Football Club failed to act on its request to remove it. The structure was in extremely poor condition. 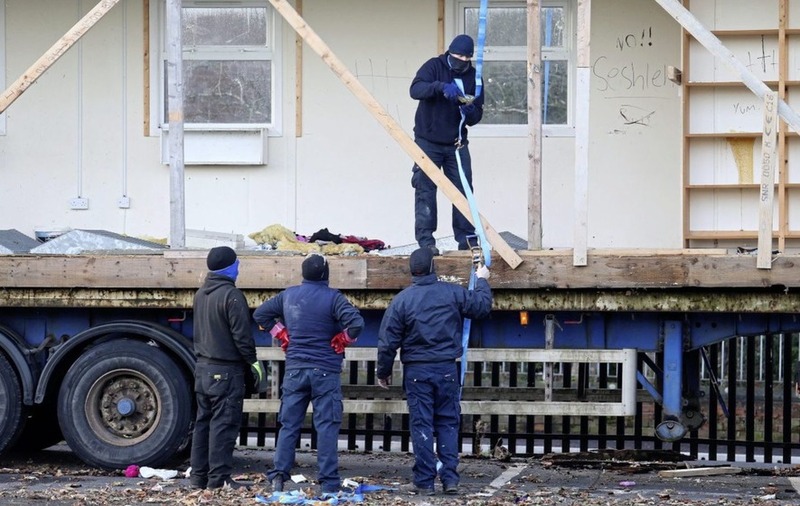 Masked contractors remove a portacabin from East Belfast FC's ground. Picture Mal McCann. "Before removal, an inventory of contents was taken and the contents returned to EBFC". In July the council hired outside masked contractors to remove wood from two bonfire sites at Bloomfield walkway and Cluan Place, the council has refused to reveal how much they paid for the operation citing 'commercial reasons'. Mr Bryson later said he had sent a letter to Belfast City Council seeking answers to a series of questions about procedures and safety issues around the removal of the hut. The last night masked contractors were used by the council was to remove a loyalist bonfire erected on Claun Place in July. 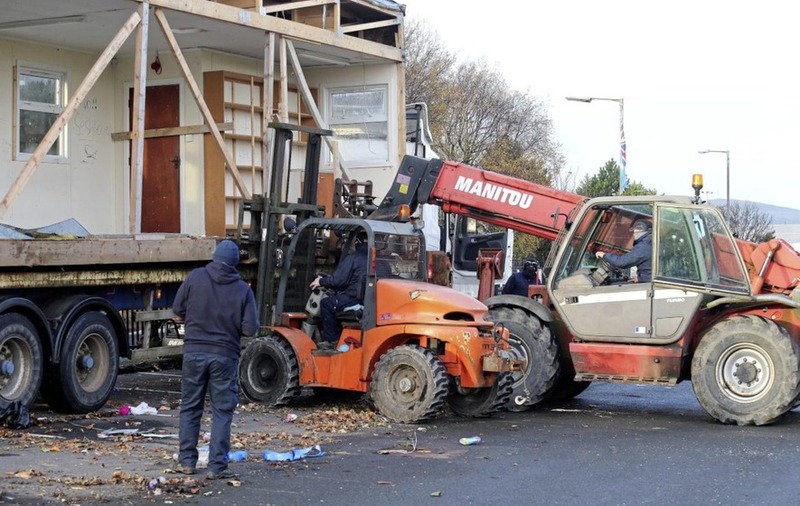 Masked contractors in east Belfast removing a portacabin on Belfast city council property. Picture Mal McCann.